Monthly Lens Lens 55 Toric Color Change the color of your look! The monthly Lens 55 Toric Color lenses correct myopia, hyperopia and astigmatism. The monthly Lens 55 Toric Color lenses, from the Servilens laboratory, are high-quality monthly lenses for those looking to completely change the color of their eyes. The Lens 55 Color Toric has a very intense color that also covers the iris of dark color. 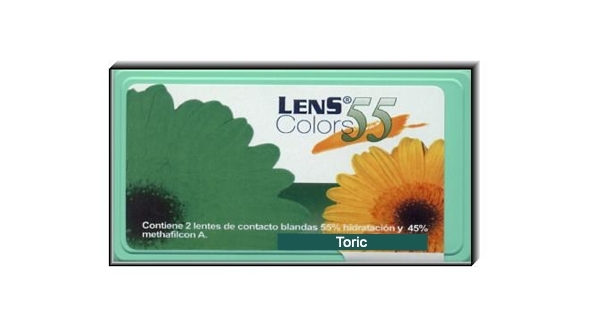 Unlike many other colored lenses that can only be used if the color of the eyes is clear, the Lens 55 Toric Color lenses change the color of the eyes even if they are dark. These lenses do not carry a color demarcation ring. They have a dynamic stabilizer that makes the lens remain stable on the axis of astigmatism that has to correct, providing excellent vision.Corrects high astigmatism, up to -3.25 diopters, which makes it possible for more patients to access them than previously could not take them by high graduation. These monthly lenses are indicated for use during the day and remove them at night, that is, you can not sleep with them, since the material they are made of does not allow it. 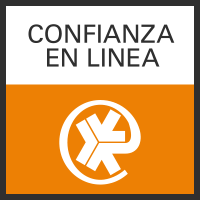 In Prodevisión you can acquire the Lens 55 Toric Color contact lenses easily, comfortably and at very competitive prices, enjoying all the purchase and security guarantees. We are a serious company with many years of experience in the world of optics (contactologists, we adapt lenses daily in our center). We are professionals. When ordering your monthly Lens 55 Toric Color lenses in Prodevisión, it is necessary that the lenses have been prescribed by an optician or ophthalmologist, from there, you must place your order by copying the parameters of the last contact lenses box that you have acquired, that is, the first adaptation has to be done by the professional who will assess vision, movement of the lenses in the eye and also teach you the correct handling and maintenance of the lenses. It is important to mention the maintenance fluid, usually called a single solution. This should be of quality (first mark, all liquids are not equal) and if possible always use the same, a change of liquid can cause serious problems in the use of contact lenses. 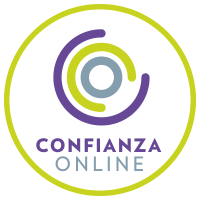 In Prodevisión we have the first and best brands of maintenance liquids on the market that assure you that they will take care of your eyes and your Lens 55 Toric Color lenses with all the guarantees. It is essential to follow all the indications of use of the manufacturer of the monthly lenses (Servilens) in terms of hours of use, care, handling and replacement.